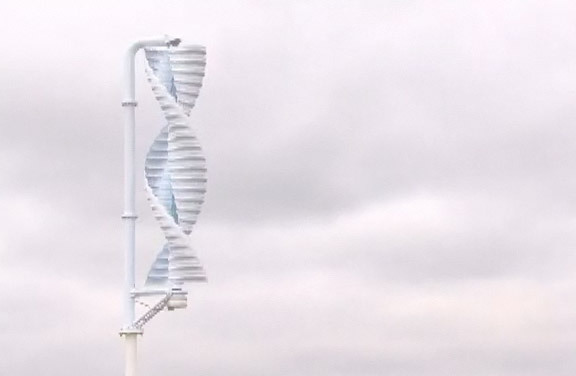 Helix Wind, a company that produces some very distinctive-looking wind turbines, is getting ready to start new trials in the US and Africa. These trials will involve testing the vertical wind turbines as a source of power for cellphone towers in areas where they may be off the grid, and carry much higher operating costs. The turbines should produce enough energy to power the cellphone towers, and pay for themselves within about six months. The trials are set to start at the end of the month with local Nigerian provider Eltek NSG as a main participant. Helix Wind launching wind-powered cellphone tower trials in US and Africa originally appeared on Engadget Mobile on Thu, 01 Oct 2009 12:52:00 EST. Please see our terms for use of feeds.